Everywhere you turn, there’s a new small-batch food product just waiting to be tasted. From stands at local farmers markets to mega-retailers devoting some precious shelf space for regional producers, the “eat local” movement has grown in metro Detroit. The food culture here has spawned a network of organizations and individuals willing to offer advice, time, and resources. So who are the new entrepreneurs striving for a proverbial piece of the pie? In some cases, it’s a “when life gives you lemons” response to not being able to find a job. 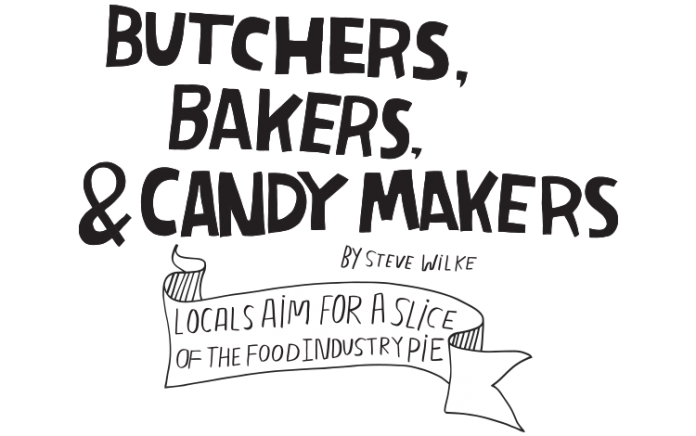 Others hope to support local farmers, help save a neighborhood, or simply share the results of a personal search for a better granola bar, burger, or barbecue sauce. Some work out of their homes; others rent space in a shared commercial kitchen or operate large brick-and-mortar facilities. 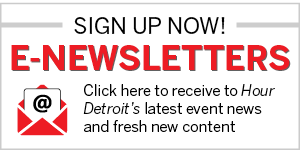 The following pages feature a sample of Detroit-area food entrepreneurs. Their business goals range from a small-batch producer testing the waters to see if the food business is right for them to those seeking an “angel” investor. After all, the next McClure’s Pickles or Garden Fresh Salsa could be coming around the corner — perhaps in a food truck. Back story: From seed to harvest, Dawn DeMuyt and Patrick LaMourie are cultivating 30-plus varieties of heirloom vegetables — mainly tomatoes and peppers — on a small Corktown farm they bought in 1997. They’ve expanded beyond the backyard of the house they moved into a few years ago, branching out to nearby lots a neighbor lets them farm. 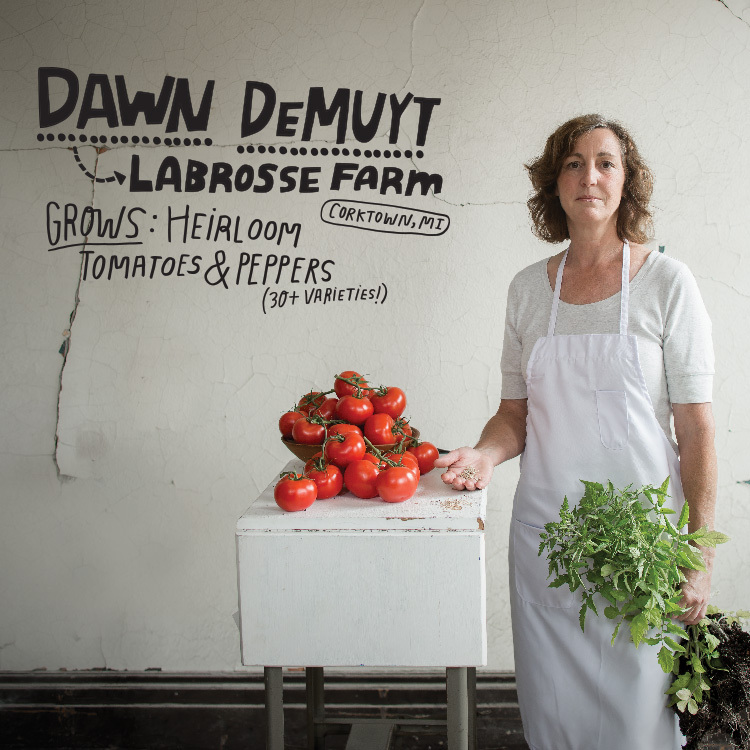 In 2006, Labrosse Farm started off selling excess tomatoes at farmers markets. The following year, they started selling plants. This fall, Labrosse Farm is taking the next step: They plan to partner with a certified kitchen and produce a line of three small-batch heirloom ketchups using this season’s harvest. “They’ll all be fresh, nothing from a paste,” says DeMuyt. That also means using honey instead of sugar. “Detroit is a great place to be in the food world right now,” says DeMuyt, citing a growing network of resources for small producers. Urban farms are part of the “big picture” of producing local food rather than buying it “packed from a large corporation from the other side of the country,” DeMuyt says. Back story: Remember that character in Forrest Gump naming all the ways to prepare shrimp? 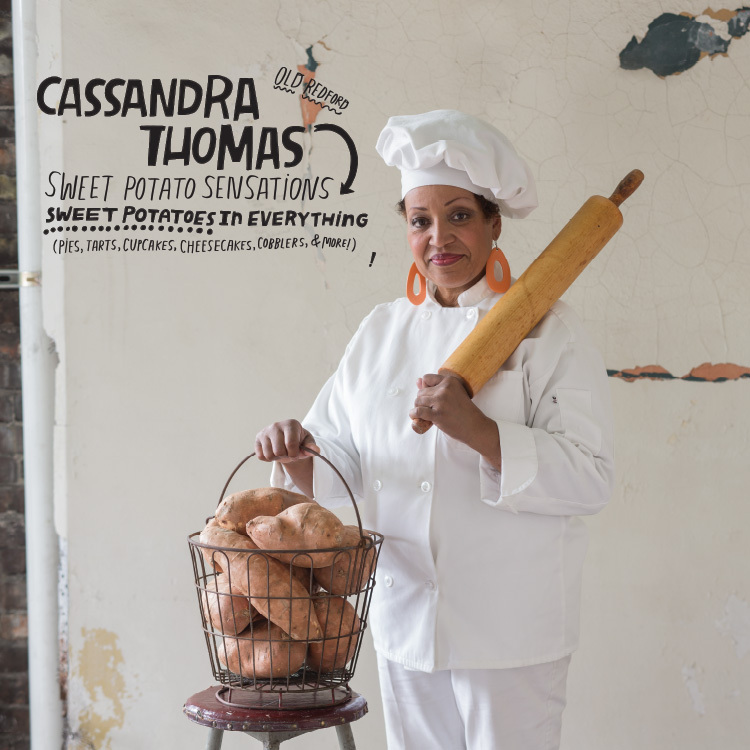 Cassandra Thomas can offer up a sweet potato version of that list. They sold 125 bags “without pushing,” Thomas says. But it wasn’t exactly legal. So she rented a licensed kitchen in the North Rosedale Park Community House. After some hard lessons, Sweet Potato Sensations moved into their own building in 1994 (across from their current 5,000-square-foot location). They were also featured on Food Network a few years back — a channel Thomas says her husband used to turn off. “He doesn’t turn it off anymore,” she says. Back story: Cultures around the world have discovered that barrels and bacteria make a great combination. 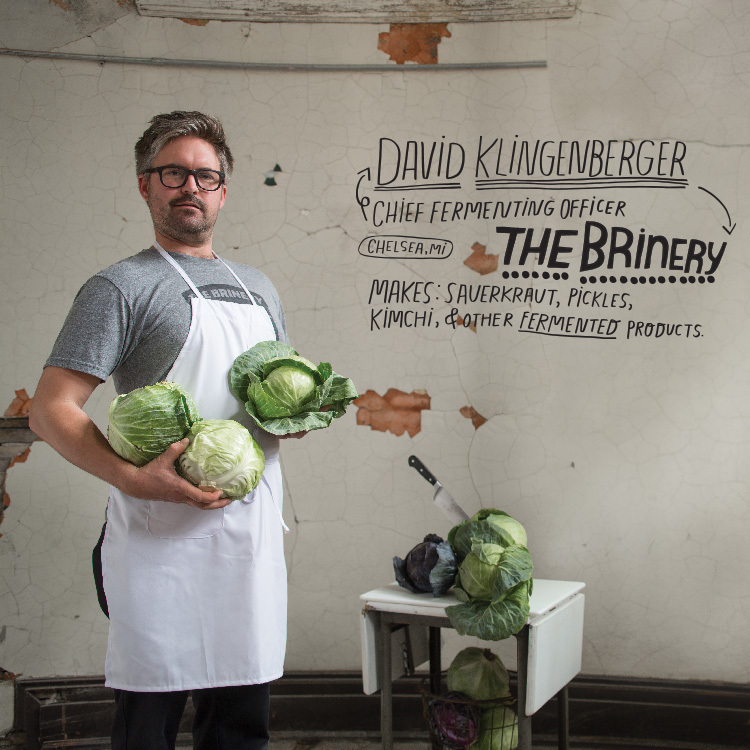 “Once you start looking, every culture has some kind of fermented food,” says David Klingenberger, the “Chief Fermenting Officer” of The Brinery. His journey began with a field of autumn cabbages at Tantré Farm in Chelsea. Where it ends upis anyone’s guess. He made his first batch of sauerkraut more than a decade ago, but didn’t really think about selling it. More recently, he started distributing “bootleg kraut” to friends and family out of the back of a car. No real business plan. More like: “Hey, I just make money selling kraut!” he says. What he is for sure: an awfully good fermenter. The goal is to use as much Michigan product as possible (ingredients such as ginger root are sourced from afar). They buy from a half-dozen large and small farms. If the dozen or so full- and part-time employees can keep up with production, The Brinery will be in even more stores. They’ve moved to larger facilities at the Washtenaw Food Hub, an offshoot of Tantré Farm. “We’ve got the manic energy and ambition,” for more growth, Klingenberger says. Recognition from outside of Michigan also lends credibility. The Brinery won a 2014 Good Food Award in San Francisco — sort of like the Oscars of certain food categories. 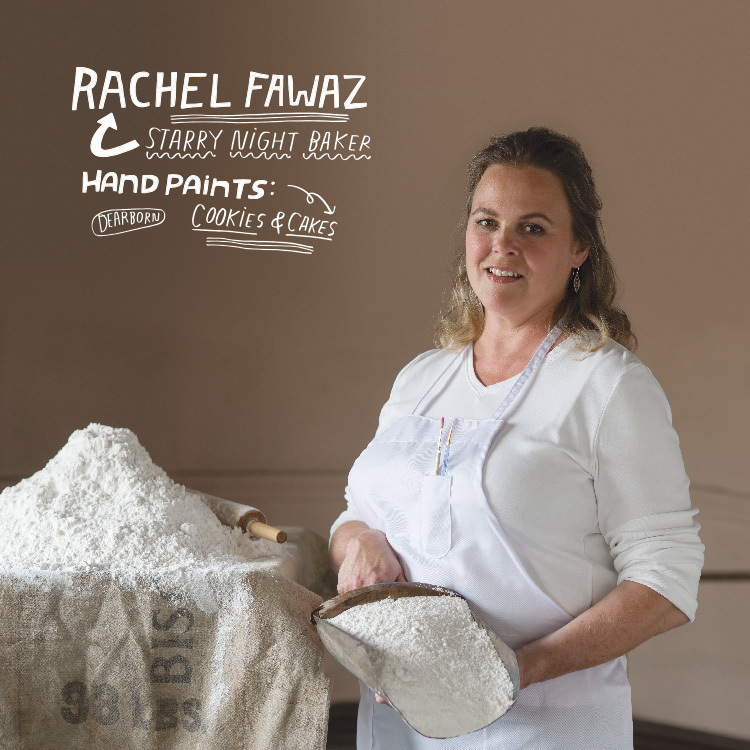 Back story: After a career in the bookselling business, Rachel Fawaz decided to stay at home to raise her kids. She started a small online book sales business, but also opened a home-based kitchen. She specializes in custom cakes and cookies, including hand-painted cookies that mimic classic paintings. At one point, she was donating part of the proceeds to the DIA. The name “Starry Night” comes from one of her favorite subjects — a Van Gogh painting. Fawaz says the Michigan Cottage Food Law of 2010 helped make it easier for people like her to start their own business. She isn’t looking to expand too much, or even open a store at this point. Starry Night is extra income — and an outlet for her artistic talent. But perhaps not too much extra income. The cottage law limits you to $20,000 in gross sales. So for now, Fawaz wants to get “just popular enough” to make $19,999. Uhl says this “arrow through my heart” revelation spurred a far-flung dream to open a tea business … some day. After returning to the Detroit area and attending law school, Uhl practiced law for eight years. But he wasn’t happy, and knew he could do something more engaging. Then a friend reminded him of his tea idea. His flame rekindled, Uhl quit his job and launched Joseph Wesley Black Tea. Uhl remains in contact with farmers he met in China, and visited in May to inspect the harvest. He sources seven teas from China and two from India, where he goes “to sample the various lots and to help create the flavor profiles that I want my teas to have,” he says. More than 15 southeast Michigan businesses sell Uhl’s tea; Cliff Bell’s and Woodbridge Pub sell the beverage by the cup and retail accounts include Zingerman’s and Pure Detroit. He personally delivers the product. Teas are also available online, and he ships all over the globe. He is seeking co-owners (as of press time, he found one) for financial support. He’s also looking for a distributor to get Joseph Wesley Black Tea onto store shelves and hopes to release a ready-to-drink bottled tea. 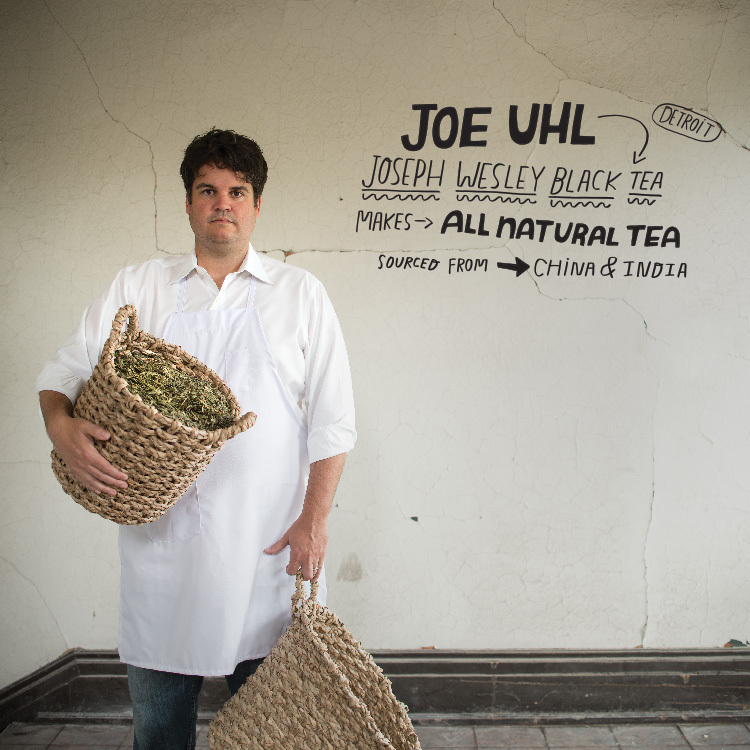 Uhl is also working on a book, slated for a spring 2015 release, which will feature the history of tea, recipes, and making the perfect batch. 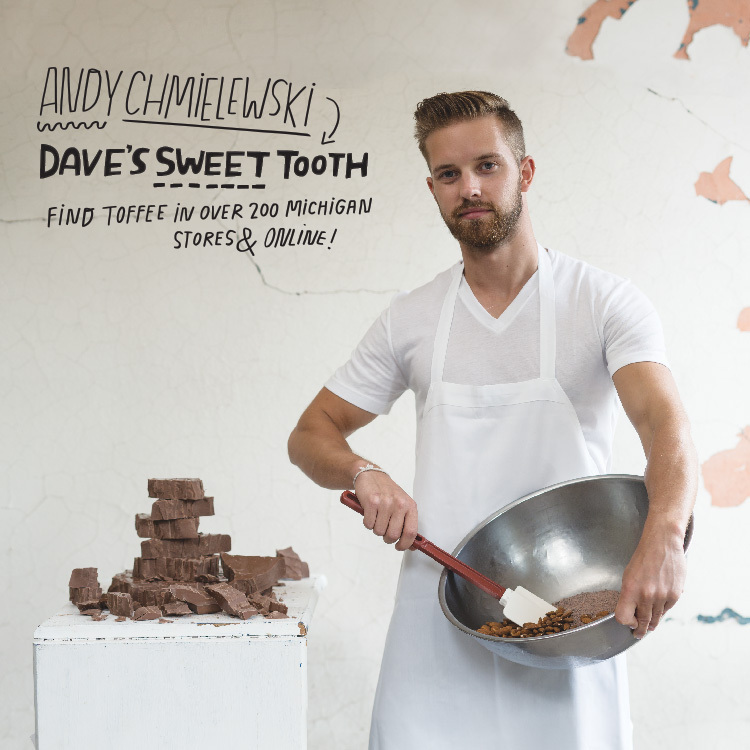 Back story: After Andy Chmielewski’s father, Dave, retired as a Detroit firefighter, the two started making small batches of Dave’s toffee recipe. They started selling at local craft shows during the holidays — placing the product in Mason jars and printing labels off a computer. Apparently, enough people thought the sweet-filled jars were nice gifts. They started getting calls for orders. Then a store asked about putting it on their shelves. The result was some 12-hour shifts. After he sought and received advice from Garden Fresh Salsa’s founder Jack Aronson and vice chairman Dave Zilko, “They took me on a tour [and then] pointed me in the right direction,” he says. Business has tripled from year to year, Andy says. “Hopefully, in 10 years, we’ll be turning down an offer from Pepsi,” referring to tales that Garden Fresh turned down a multimillion-dollar offer from the food giant. Back story: What Shannon Byrne and a group of friends started out of a community garden has sort of “spread” (pun intended). 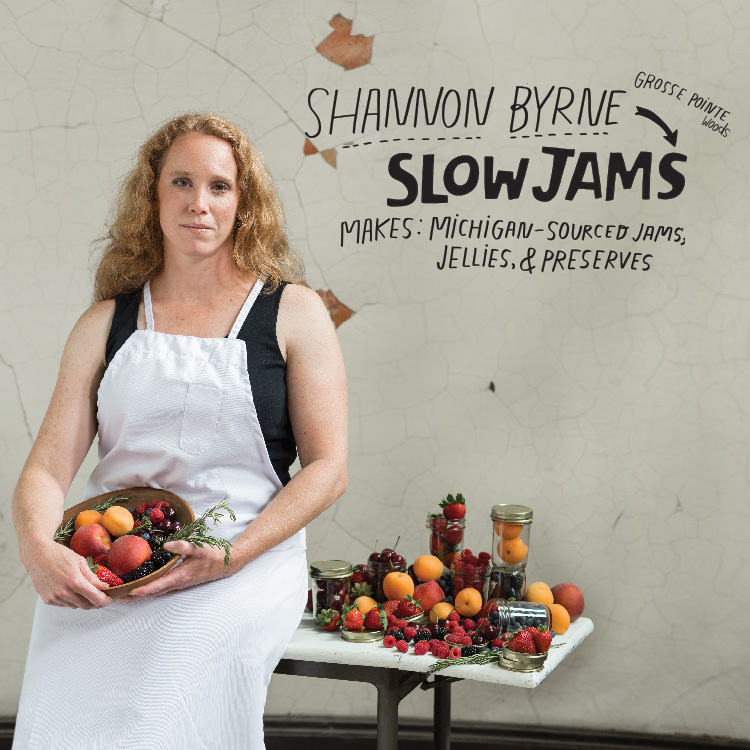 Slow Jams began with a group who wanted to learn the art of traditional jam making, then share it with family and friends. By 2011, they decided to try selling face to face to consumers at Eastern Market. They were soon approached by retailers and restaurant owners, leading to the next step: a commercial kitchen in Grosse Pointe Woods. As Slow Jams’ popularity grew, so did their number of suppliers. When they exhausted the community garden’s raw materials, they started purchasing from Eastern Market wholesalers. The main goal was the same: Use only Michigan products. Another goal is to help support the local economy. They’ve developed relationships with farmers throughout the state — from Ruhlig Farms & Gardens in southeast Michigan and a strawberry grower in Armada to getting cherries from the northwest and hitting up the blueberry belt on the southwest. The Slow Jams team has expanded. Some are more part time than others, but “My mom’s in the kitchen [and] my mother-in-law’s in the kitchen,” Byrne says. Another part of giving back is working with the Detroit Food Academy. Slow Jams mentors high school students who learn everything from sourcing to balancing books. Back story: The search for a better burger led Rachel Leemis down quite a different path than she originally intended. She’s now raising a herd of cattle with a distinctly Italian heritage here in the Midwest. After working in everything from mom-and-pop to high-end steak restaurants, Leemis planned to go solo with a “casual burger joint.” Trying to find a product she loved led her to Italy — and Piedmontese beef. But there was a rub. Where to source it? The question led her to a 72-year-old, fifth- generation Michigan farmer and Piedmontese cattle expert. But instead of opening a restaurant, Leemis decided to focus on developing the breed — and a market for it. Leemis took the product on the road, knocking on a bunch of kitchen doors. Soon, Monty’s was supplying some of the better restaurants in the Detroit area (think Ocean Prime and Bacco). 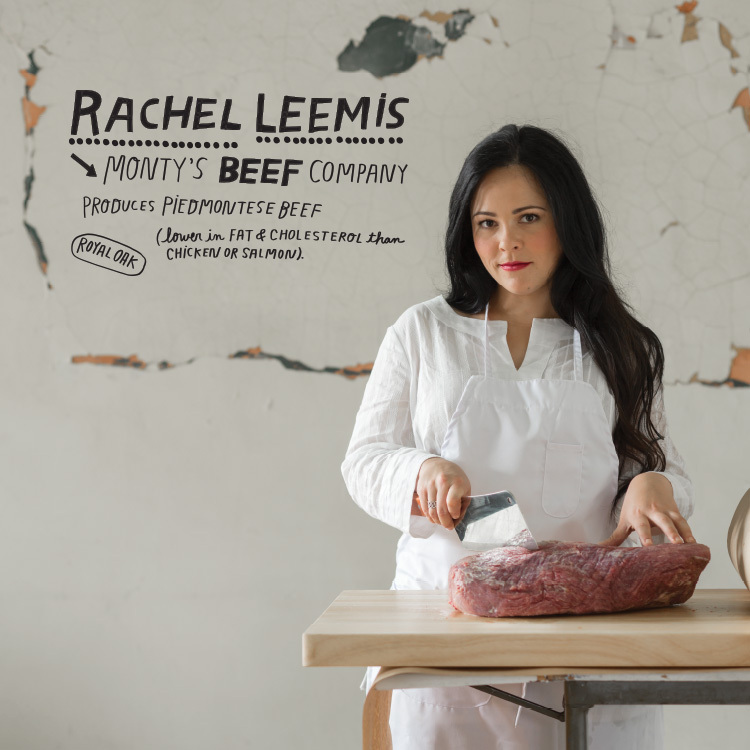 Monty’s Beef opened a retail store in Royal Oak around a year ago. The next step is to grow the herd, because “200 acres in Michigan is not enough,” Leemis says. They now work with nine cooperative breeders. “When I grow up I want to be Niman Ranch,” Leemis says, referring to the California-based nationally recognized brand. Back story: Talk about a sweet inspiration. When Michele Bezue’s daughter Kelsey moved to Detroit, they considered opening a candy store. Then they came across handmade marshmallows. 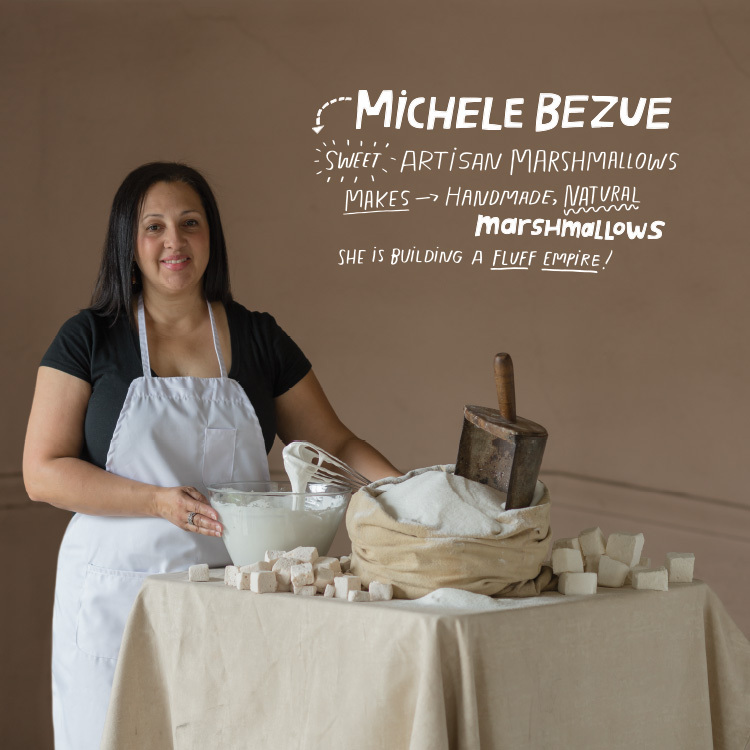 At first Bezue thought, “How much better can they be?” But she was amazed at how different handmade marshmallows were compared to mass-produced ones. So Bezue — a sort of serial entrepreneur who tried the bed and breakfast route at one point — started exploring flavored marshmallows, such as a roasted peach with brown sugar, butter, and basil — all made from scratch. The first public test was at a Campus Martius holiday market. “I wanted to see if people had the slightest interest,” Bezue says. That led to showing up at farmers markets. They see a potentially larger market at stores and coffee shops.